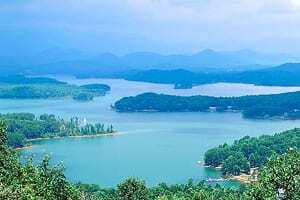 HIAWASSEE, Ga. – The 2017 tourism figures have been calculated, and Towns County’s direct tourism spending increased by nearly $3 million dollars in a single year. Data revealed that $51.71 million dollars were the result of local tourism in 2017, relieving individual taxpayers of an annual $840 average. Towns County Chamber of Commerce President Candace Lee stated that although Towns is one of the smallest counties in Georgia, the chamber has reached an impressive 417 members. Lee shared data, confirming the high level of interest in the area through the chamber’s website. Last year, Towns County Chamber of Commerce fulfilled leads by delivering 1,549 informational packets, 187 packets on area relocation, and 667 visitor packets during the month of December alone. Lee listed exciting, upcoming events, including a Bass Nation tour which will lure 120 boats to Lake Chatuge in late September, following an invitational fishing tournament that will coincide with the final days of Georgia Mountain Fair in July – both positive effects of the wildly popular Bassmaster Tournament hosted last fall – as well as the second annual Made in Georgia expo, scheduled for the weekend before the Fourth of July, and a new event, Rust and Roses, which will feature an array of antique and vintage clothing vendors in early September. Towns County Commissioner Cliff Bradshaw praised the dedication of Chamber President Lee, General Manager Hilda Thomason of the Georgia Mountain Fairgrounds, and Chair of Hamilton Gardens, Grace Howard, for their hard work in increasing the county’s economy through tourism. 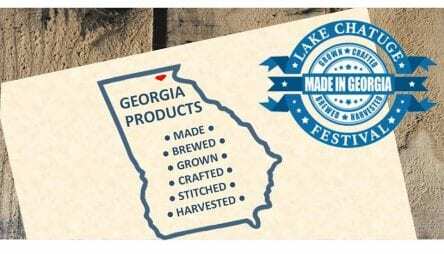 YOUNG HARRIS, Ga. – “Made in Georgia” kicks off this weekend at the Towns County County Recreation and Conference Center, featuring a wide variety of products from the Peach State. Vendors offering items that were made, grown, harvested, crafted, brewed, grown, stitched, or inspired in Georgia will be on site at the unique event. Towns County Chamber of Commerce President Candace Lee says 65 vendors will participate in the expo, offering samples, demonstrations, and products for purchase. Chick-fil-A, an Atlanta-based corporation, has signed on to attend, in addition to vendors offering festival fare such as barbeque, hot dogs, pitas, lemonade, and Italian ice. North Georgia Technical College Culinary Arts Department will host three separate cooking classes on Sunday, demonstrating the preparation of native cuisine. The festival runs from Saturday, June 30, 10 a.m. to 5 p.m. through Sunday, July 1, from 11 a.m. until 4 p.m. Admission is $5 per person. Parking is free. Towns County Recreation and Conference Center is located at 150 Foster Park Rd. in Young Harris. The event will take place, rain or shine. 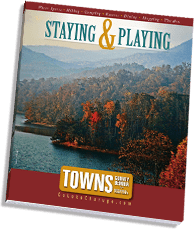 HIAWASSEE, Ga. – Tourism is on the rise throughout the Georgia mountains, and Towns County has seen a steady increase in the past several years. Out of 17 counties reviewed, Towns County placed second in terms of growth in 2016, when the study was last conducted. Research reveals an 8.9 percent increase in domestic tourism expenditures in Towns County since 2007. Only Dawson County exceeded Towns, at an increase of 12.7 percent. Overall, the northeast Georgia mountains experienced 5 percent total growth in tourism in the past decade. In 2016, tourism supported 4,533 jobs in Towns County, generating $11.37 million dollars in payroll. Local tax revenues amounted to $1.33 million dollars. 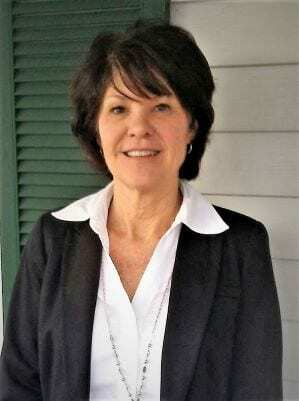 Commissioner Bradshaw works in unison with Towns County Chamber of Commerce President Candace Lee, and Georgia Mountain Fairgrounds Manager Hilda Thomson, to bring revenue-generating events to Towns County. The recent “Get Outdoors!” expo drew over 2,800 attendees, many of whom traveled to Towns County from surrounding areas. “Made in Georgia” will make its debut on June 30 through July 1, offering products made, grown, brewed, crafted, stitched, and harvested throughout the state. The event will feature an array of vendors, demos, and samples of local products. The event will be held at the Towns County Recreation Center in Young Harris. The 2018 Bass Elite tournament series, scheduled for Sept. 20 through 23, is sure to draw a crowd as well.